To bring you the best of both apps, Breeze and Zendesk Support, add the Zendesk app to your Zendesk account. It's available from the Zendesk Marketplace and it's free, no extra charge. Add it to your account and you're done. 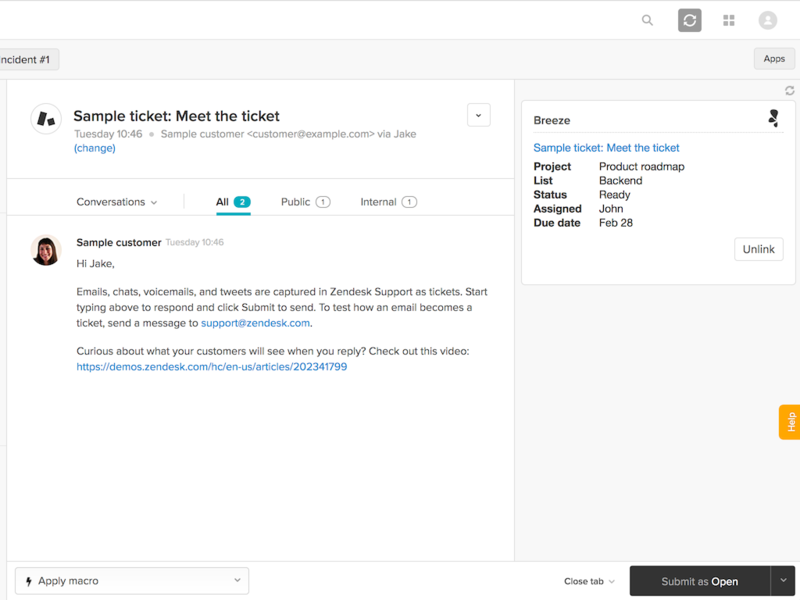 Open a Zendesk ticket and the Breeze widget will appear to the right. From there, you can add the ticket to an existing task, or create a new one. You can choose the project, list and the task where the ticket will be added. All the information is right there, available for you support people.